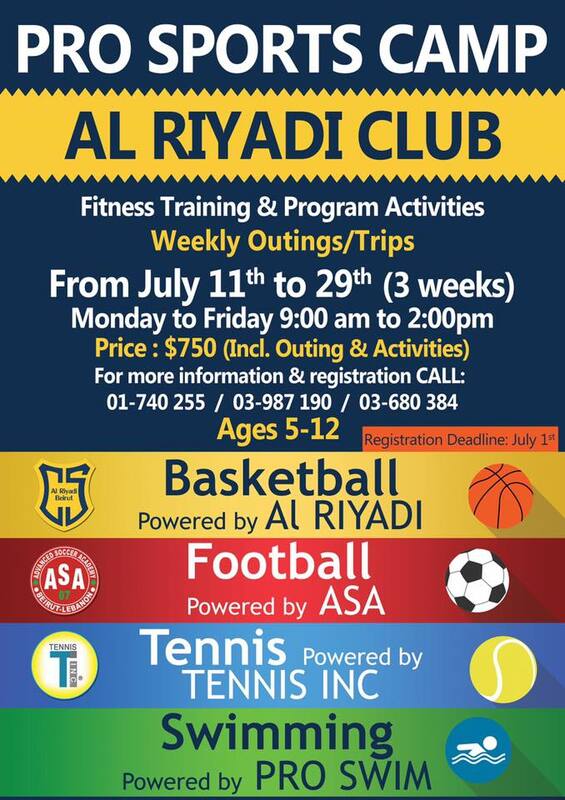 Pro Sports camp at Al Riyadi Club. Fitness training & Program activities, weekly outings/trips. From July 11th to 29th (3 weeks). Price $750 (incl outings and activities).